Property 20: Rustic Cabin Lake Home~Ski slopes nearby ~ WIFI~ pets welcome~ GREAT REVIEWS! 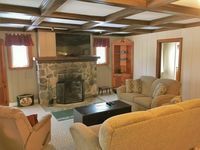 Property 24: Get cozy at Big Al's Poconos Creek House - Wireless DSL & Trout!! Property 27: Lakefront Cabin w/ Private Beach, Dock, AC, 4 Boats, Sauna, Dog Friendly!!! Property 29: Adorable Cozy Log Cabin - Check out our Spring Special!!! Property 36: Cozy Pocono Lake Cabin in Gated Community w/Pools! Property 38: Cozy Pocono Getaway Close to Jack Frost and Big Boulder! Property 41: LAKEFRONT Cabin on a 22+ acres wooded lot. Close to BLUE MOUNTAIN Ski Resort! 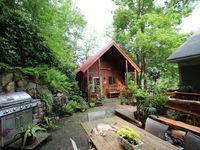 Property 49: Beautiful Cabin in The Poconos on The Lehigh River!